It seems that everyone around the world has gotten wind that Ambergris Caye is the Number 1 Island in the world (for the second consecutive year). That includes a group of about 16 pilots who flew to San Pedro Town, Belize on Friday February 21st in their private planes. The adventurers will spend the weekend on the island, taking in the sun, breeze and sea and just enjoy the La Isla Bonita experience. Because the amount of private planes landing in such a short period is not so common on the island, it created quite a buzz. Islanders began wondering if it was celebrities swarming the island because of it’s the recent TripAdvisor recognition – we wouldn’t be surprised! 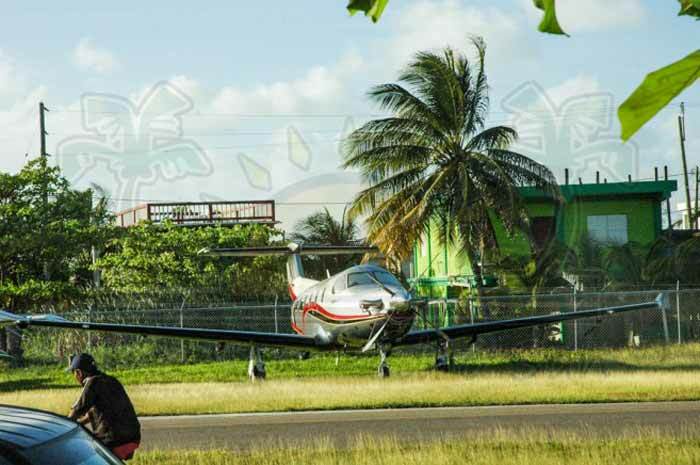 The group of pilots is part of Caribbean Flying Adventures that flies to various parts of the Caribbean, spreading their wings and discovering new destinations. 0 registered members (), 232 guests, and 8 spiders.